side arm. Moreover, FC-SMG is easy to carry even hidden. a pistol, but the power is glaringly higher. 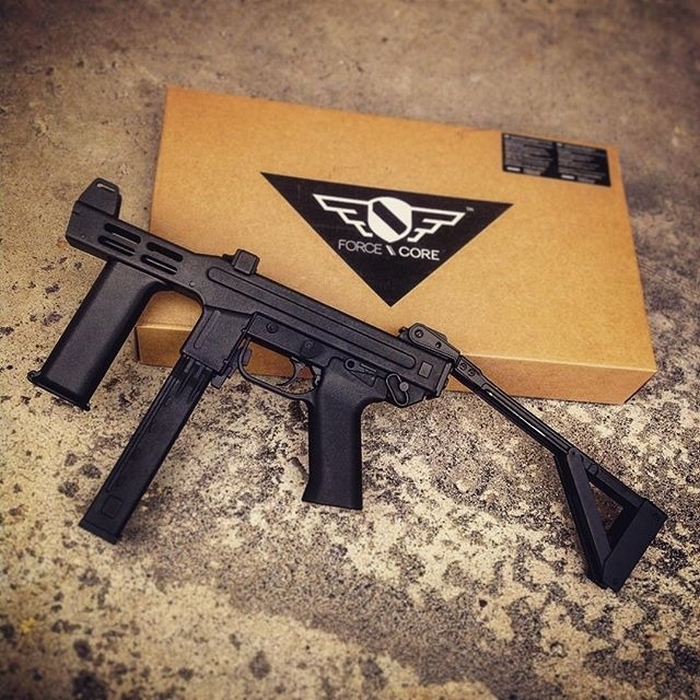 FC-SMG is nearly entirely made of plastic. The material is polymer making a really good visual impression. charging handle. Mag release is placed inside the trigger guide. It makes it easy to pull the button with pointing finger. useful during the play accessories like: lighting or laser pointer. while a fire selector lever is on the left. The replica shoots semi and auto.